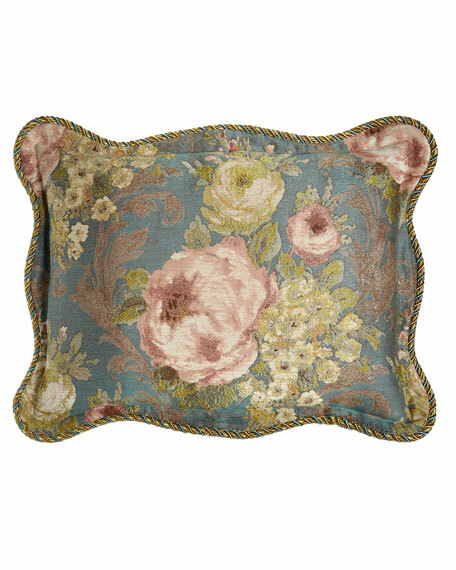 Floral sham has soft chenille texture and metallic accents. Finished with scalloped edging and tri-color cording. Floral fabric is woven in Europe of viscose/polyester/metallic.